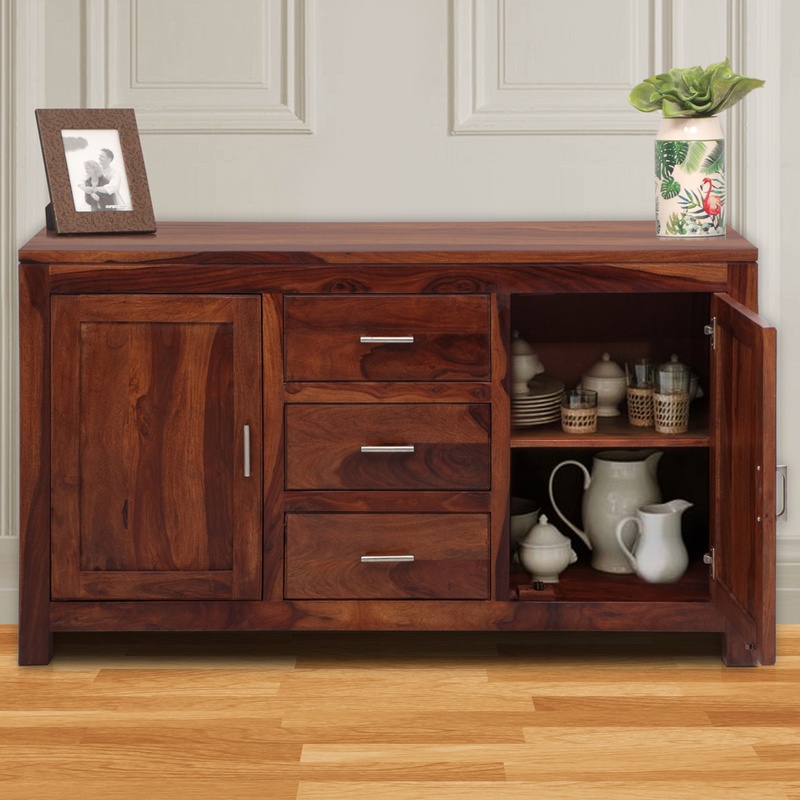 The Courtney Buffet or ‘credenza’ is a perfect low-storage piece and serves as a fine place to lay out the dinner spread. Made of sturdy Sheesham wood, the entire piece comes in a rich brown colour which adds to the dignity of the entire dining space. You can easily distinguish the natural grains of the wood which creates a nice texture and blends well with the warm deep tone.